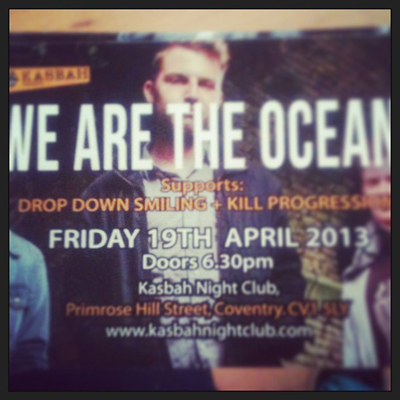 We’ve just been confirmed to play with ‘We Are The Ocean’ in Coventry,UK on the 19th of April! or via our merchandise page. Its not every day we get the chance to support a band we are all huge fans of. April 19th however will be one of them days! Please come and support us if you can, this will be a great show!